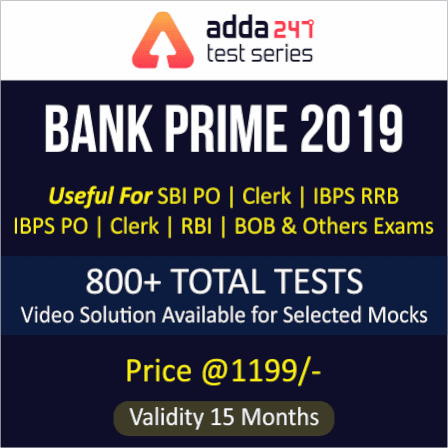 Its time for every banking and SSC aspirant to add a BOOST to their preparation and Adda247 has brought to you just what you’ll need- a complete subscription to all major bank and SSC exam mock tests at a heavily discounted price!!! Yes, take advantage of this FLASH SALE which is available from 3PM to 12 Midnight & get the PRIME ONLINE TEST SERIES Subscription Today. Why wait for the notification to start your preparation? Have you Joined the RACE to Compete for GOVT JOB 2019??? BANK PRIME package incorporates more than 800 mocks tests and is available at a price of Rs. 999 for 9 months and Rs. 1199 for 15 months. 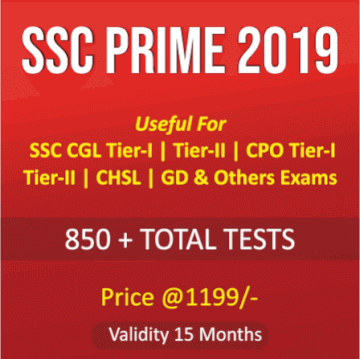 SSC PRIME package incorporates more than 850 mock tests and is available at a price of Rs. 999 for 9 months and Rs. 1199 for 15 months. And for those who are aiming for every govt. job recruitment there is Maha Combo Prime (Bank, Insurance, Railway, SSC) which includes 2100+ Tests at a price of Rs. 2499 with 12 Months Validity.